I am so looking forward to an extra hour of sleep this Sunday morning. If you live in Arizona, Hawaii, American Samoa, Guam, Puerto Rico, Northern Marianas, or the Virgin Islands, you won’t get this extra hour. But here’s the deal—you didn’t lose an hour of sleep in March either! 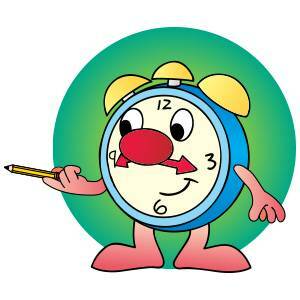 So, really, what’s up with this turning clocks forward and backward each year? Honestly, I’d forgotten the facts, so did I did a bit of research! Here’s the scoop. • Under law, daylight saving time is observed from the second Sunday in March to the first Sunday in November. Under state law, states may choose to exempt themselves from observing daylight saving time. • Daylight saving time was conceived as a way to conserve energy. It was first used during World War I. It was reinstated during World War II .The Uniform Time Act of 1966 created a standardized system to observe daylight saving time. Well, there you have it. Sunday’s return to standard time does mean less daylight (boo hoo); yet that extra hour of sleep still has me grinning. PS: Remember to change the batteries in your smoke detectors too! It’s funny how we feel so excited to get that extra hour of sleep and so deprived when it’s taken away. I hate the time changes. Bah humbug. Let’s get rid of daylight savings time. It takes my body weeks to adjust to the change, and it’s embarrassing to walk into church an hour late, or arrive an hour early. I heard that Russia and a few other countries recently eliminated Daylight Savings Time in their nations.